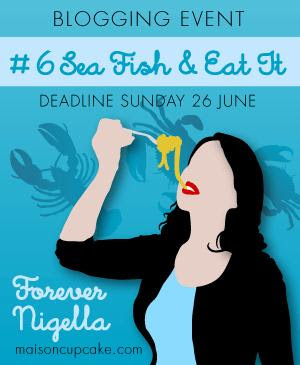 Farmersgirl Kitchen: Forever Nigella #6 Sea Fish & Eat it! This month's, Maison Cupcake, Forever Nigella challenge is being hosted by Housewife Confidential and today is the last day to get your 'fishy in a dishy' cooked a la Nigella into the pot! 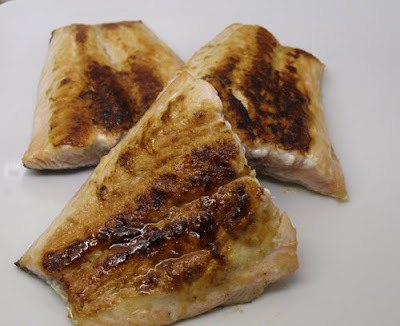 I had some salmon marked out for our supper tonight, so had a flick through the index of Forever Summer and found this easy peasy recipe for Seared Mustard-Coated Salmon. The flavour of this coating is subtle but there is a nice combination of sweetness and savoury heat contained in the sugar and mustard rub. Love this - looks so simple! Fantastically easy, I must remember this one. Thanks for taking part!